The best things in life come in threes, and the tri-island state of Grenada is no exception. Consisting of Grenada, Petite Martinique and Carriacou, the picturesque islands offer plentiful opportunities for both adventure lovers and those seeking rest and relaxation. With its lush, fertile landscapes and award winning white sandy beaches, it has the perfect balance, and visitors may find themselves wishing that they could extend their stay. Renowned for its high exports of nutmeg and mace, Grenada is sometimes dubbed the “Island of Spice”. Grenada is the world’s second-largest producer of nutmeg but spices aren’t the only natural bounty that Grenada shares with its guests; cocoa beans, bananas, avocados, cloves and cinnamon are also grown in abundance throughout the islands. Grenada is famed for its unspoilt scenery. The islands are of volcanic origin with extremely rich soil. Its natural beauty remains largely untouched by industrialisation – between the cobalt blues of the ocean and the rich greens of its vegetation, the eye is spoilt for choice. It is the perfect getaway destination for those seeking an adventure, suntans and spas, or a romantic break with a partner. With its white sand and invitingly clear waters, the Grand Anse beach is recognised as one of the most beautiful in the world. For those who enjoy active adventure, a trek to the cascading waters of the Seven Sisters Falls will lead you through the rainforest. Visitors to the island are likely to encounter some of the friendliest people in the Caribbean, as Grenada is renowned for its hospitable attitude toward both tourists and new citizens. Grenadian culture is expressed through largely creative means: with music, poetry, pageantry, theatre, dance and sports. Other means of socialising come in the form of organised celebrations and festivities, where a great amount of time is dedicated toward cooking. English is the country’s official language, so there should be little trouble acclimatising and integrating into the community. Before the arrival of European explorers, Grenada was inhabited by the indigenous Arawaks and subsequently the Island Caribs. Christopher Columbus sighted Grenada in 1498 on his third voyage of discovery to the Americas, and although labelled the property of the King of Spain this is no evidence to suggest the Spanish ever settled there. Grenada has a largely tourism-based, small, open economy, which has shifted from agriculture to service industries. Manufacturing industries in Grenada operate mostly on a small scale, including the production of beverages and other foodstuffs, textiles, and the assembly of electronic components for export. The Grenada Chocolate Company has pioneered the cultivation of organic cocoa, which is also processed into finished bars. The Grenada Chocolate Festival takes place in May. Large-scale tourism is a recent phenomenon, and Grenada is largely undiscovered, unspoilt and full of opportunity. Beach and water-sports tourism is mainly focused in the southwest region around St George, the airport and the coastal strip. Ecotourism is growing in significance. Most small eco-friendly guesthouses are located in the Saint David and Saint John parishes. During the cruise ship season numbers increase greatly. Grenada’s islands feature some of the most diverse terrain in the Caribbean, from crater lakes and verdant rainforests to sun-kissed swaths of beach and unspoiled underwater ecosystems. Almost one-quarter of Grenada is preserved as national parks or wildlife sanctuaries. Nature trails criss-cross the terrain, offering visitors and locals the chance to drink in the spectacular views of mangrove-fringed coastlines and experience the islands’ splendid array of fruits, spices, and tropical plant life. Well-preserved places of interest abound in Grenada. In the lovely capital of St. George’s, scattered between pastel buildings and red-tiled roofs reflect the city’s strong Caribbean identity and historic English and French architecture also hints at the culture’s rich past and European influence. Fort George, a garrison that has overlooked the capital’s harbour for more than 300 years, is open to the public for tours. In addition, the Saturday market offers locals and tourists the opportunity to explore local produce, spices and crafts. 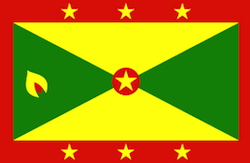 The Grenada Citizenship by Investment Committee is the main government-appointed body tasked with the responsibility of overseeing the processing of applications for Grenadian citizenship by investment. The Committee assesses applications in accordance with the Grenada Citizenship by Investment Act, after which recommendations are made to the Minister, who makes the final decision to deny, approve or delay granting Grenadian citizenship. The Citizenship by Investment Programme came into being in August 2013, when the Grenadian Parliament passed Act No. 15 of 2013 (Grenada Citizenship by Investment Act, 2013). The Act enables persons to acquire permanent residence and citizenship of Grenada by registration following investment in Grenada. Applicants who choose this route must make a one-time contribution to the NTF. It is important to note that applicants are not allowed to contribute to the NTF in person, but rather they must use the services of an Authorised Local Agent. Applicants opting for the NTF route must contribute at least US$150,000 to the Fund. The following chart highlights the costs and fees associated with this route.